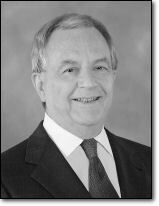 Ray Murphy is an executive search consultant with deep experience in the aviation and financial services industries. Ray's search experience encompasses a wide variety of senior roles in information technology, finance and aviation. During his industry years, Ray held a senior market analysis role at Bombardier and a senior finance role at Mitsubishi Aircraft International. He held line management roles at BorgWarner Capital Services and U.S. Concord, a division of the Hong Kong and Shanghai Banking Corporation. Most recently, Ray has served as a Partner with Aviation Management Consulting, Inc. Ray worked previously at two other search firms. Ray holds a Bachelor of Science degree in Foreign Service from the Edmund A. Walsh School of Foreign Service at Georgetown University. He lives in Dallas, Texas.